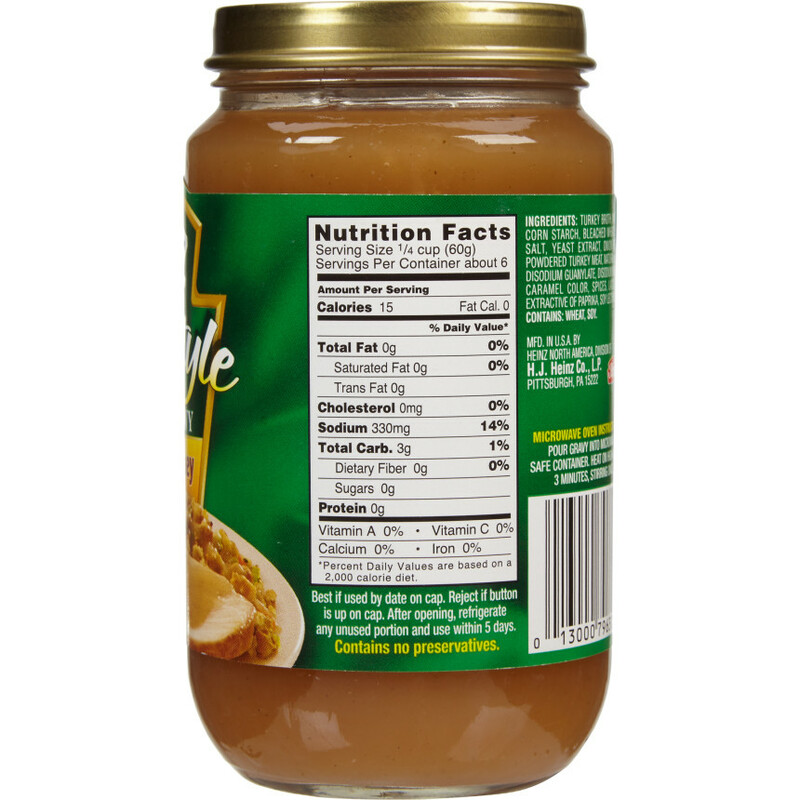 Finally, a fat-free turkey gravy even those with discriminating tastes will enjoy. 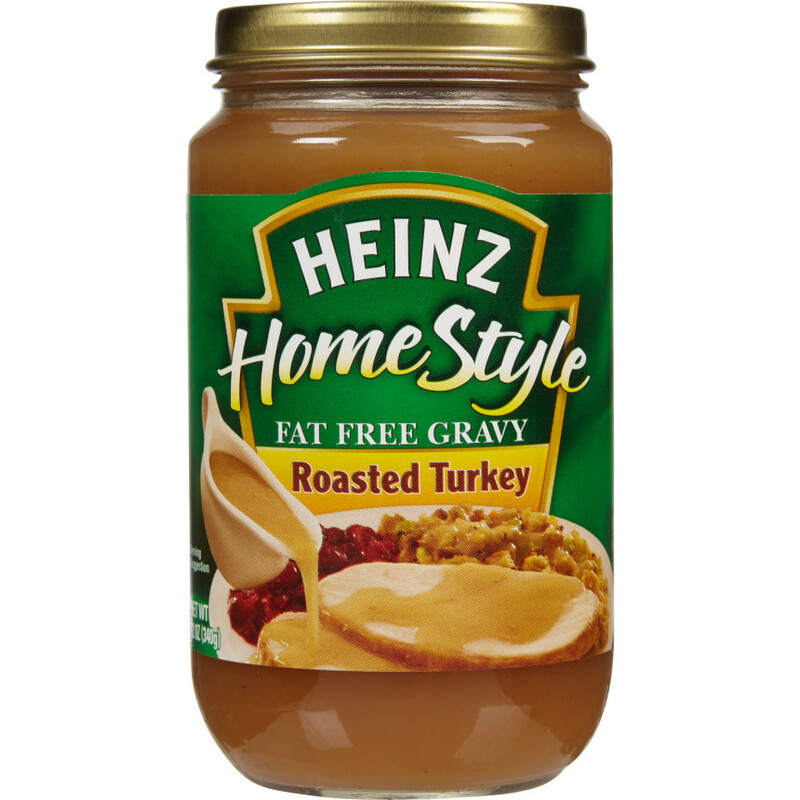 Made from fat-free broth, Heinz HomeStyle Fat Free Roasted Turkey Gravy is a lighter alternative to our original flavor. 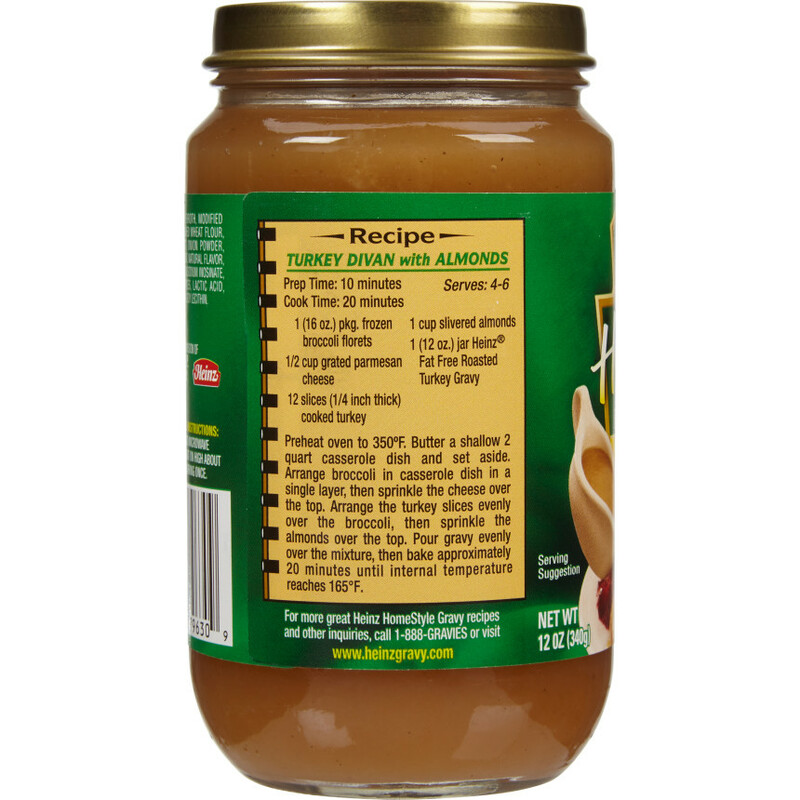 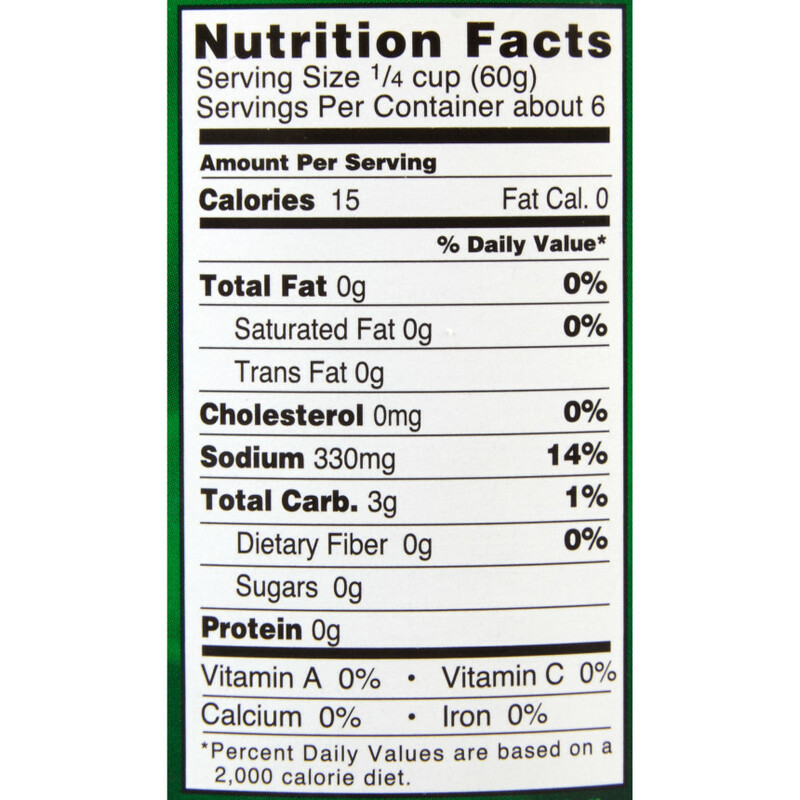 TURKEY BROTH, MODIFIED CORN STARCH, BLEACHED WHEAT FLOUR, SALT, YEAST EXTRACT, ONION POWDER, POWDERED TURKEY MEAT, NATURAL FLAVOR, DISODIUM GUANYLATE, DISODIUM INOSINATE, CARAMEL COLOR, SPICES, LACTIC ACID, EXTRACTIVE OF PAPRIKA, SOY LECITHIN.